Apple has updated GarageBand 11 music and audio editing software. 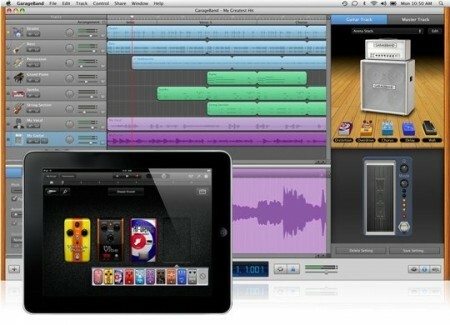 GarageBand 11 is part of iLife 11 and can be purchased from the Mac App Store. GarageBand 6.0.2 update improves overall stability and addresses a number of minor issues including adding support for opening projects imported from GarageBand for iPad. If you own an retail version of Aperture then to install the update click the Apple logo then choose Software Update. To download the update directly from Apple’s website: GarageBand 6.0.2.